The Biennale of Sydney has announced the appointment of Juliana Engberg as the Artistic Director of the 19th Biennale of Sydney (2014). Juliana Engberg is the first Australian Artistic Director of the Biennale since 2006. A curator, writer, publisher and designer, Juliana Engberg is currently the Artistic Director of ACCA (Australian Centre for Contemporary Art, Melbourne, Australia), where she has curated numerous exhibitions including: We Are All Flesh (Berlinde de Bruyckere), I Packed the Postcard in My Suitcase (Pipilotti Rist), TRILOGY (Yael Bartana), Appearances (Nathan Coley), ‘(Waiting for –) Texts for Nothing’ Samuel Beckett in Play (Joseph Kosuth),The Dwelling, Gestures and Procedures, Cinema Paradise, The Water Hole (Gerda Steiner and Jörg Lenzlinger) and Eight Miles High (Jim Lambie). Engberg was Curator of the Melbourne Festival Visual Arts Program for seven years (2000–06), during which time she curated new projects by Tacita Dean, Martin Creed, Daniele Puppi, Callum Morton, Fiona Tan and Van Sowerine. In 2007, Engberg was the senior curatorial advisor for the Australian presentations at the Venice Biennale and recently inaugurated the ACCA POP-UP PROGRAM in Venice to coincide with the 54th Venice Biennale (2011). 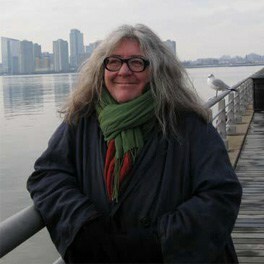 Engberg received the coveted Herald ‘ANGEL’ award for the visual arts programs she developed for The Edinburgh International Arts Festival 2009.